I have some fantastic news!! Handbag.com have launched their first Online Fashion Awards and we have been nominated. 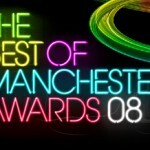 Voting opened last Thursday (19th November) and closes on 7th December 2009 – not long to get your votes in for your FAVE fashion site. These awards are very much a celebration of fashion online not just about product. Handbag.com have chosen sites who offer a great online experience, taking into account userbility, design, range, customer service and extra features such as videos and blogs. The expert panel include Belinda White the Fashion Director of handbag.com, Leon Bailey-Green of the Online Fashion agency, Courtney Blackman the Co-Chairman & Co-Founder of the Fashion Business Club and Laura Street, Fashion Editor of Fabsugar.co.uk. I would like to invite TopStylista.com users to show their support by voting for iStylista.com in the ‘Best Innovation’ category. Literally EVERY vote will be counted so your time and your support will be much appreciated so PLEASE vote for us.